Step out of Katoomba to go to Faulconbridge and see Norman Lindsay Gallery & Museum, which is approximately 32 minutes away. 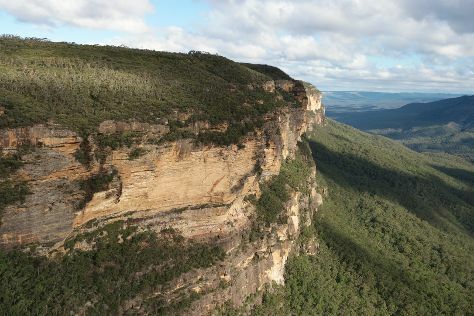 There's much more to do: admire the sheer force of Wentworth Falls, deepen your appreciation for local ecosystems through Eco Tours, take some stellar pictures from Govetts Leap, and don't miss a visit to Echo Point Lookout. For other places to visit, maps, where to stay, and tourist information, use the Katoomba trip planning website . Sydney to Katoomba is an approximately 1.5-hour car ride. You can also take a train. Expect slightly colder evenings in Katoomba when traveling from Sydney in March, with lows around 19°C. Wrap up your sightseeing on the 12th (Tue) to allow time to drive to Sydney. Sydney is known for nightlife, trails, beaches, parks, and museums. 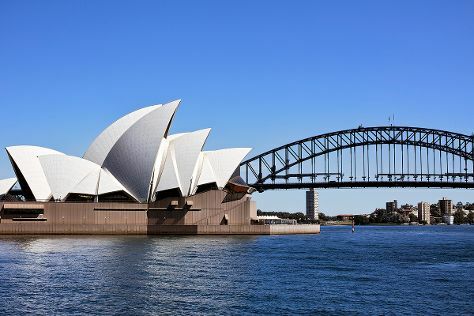 Your plan includes some of its best attractions: see a show at Sydney Opera House, take in nature's colorful creations at Royal Botanic Garden Sydney, see the interesting displays at Australian National Maritime Museum, and kick back and relax at Manly Beach. To see maps, reviews, and other tourist information, you can read our Sydney online sightseeing planner . Drive from Katoomba to Sydney in 1.5 hours. Alternatively, you can take a train. March in Sydney sees daily highs of 30°C and lows of 22°C at night. Wrap up your sightseeing on the 17th (Sun) early enough to travel to Lord Howe Island. Start off your visit on the 18th (Mon): learn more about the world around you at Lord Howe Island Museum, then enjoy the sand and surf at Lagoon Beach, and then kick back and relax at Ned's Beach. 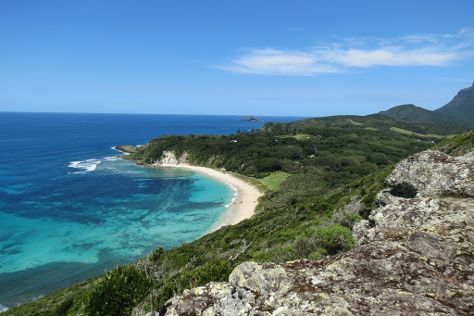 Get ready for a full day of sightseeing on the 19th (Tue): trek along Lord Howe Island Walking Trails, then explore the striking landscape at Ball's Pyramid, and then take in the awesome beauty at Mt Gower. To find traveler tips, more things to do, photos, and tourist information, read Lord Howe Island online tour itinerary maker . Traveling by flight from Sydney to Lord Howe Island takes 3.5 hours. Wrap up your sightseeing on the 19th (Tue) to allow time to travel to Cairns. Spend the 20th (Wed) among aquatic life with a scuba or snorkeling tour. Spend the 21st (Thu) wandering through the wild on a nature and wildlife tour. And it doesn't end there: tour the pleasant surroundings at Esplanade Boardwalk, have fun at Esplanade Lagoon Pool, and cruise along Captain Cook Highway. To find photos, where to stay, ratings, and other tourist information, go to the Cairns vacation planner . Fly from Lord Howe Island to Cairns in 6.5 hours. Expect a daytime high around 36°C in March, and nighttime lows around 27°C. Finish your sightseeing early on the 22nd (Fri) so you can drive to Port Douglas. Spend the 23rd (Sat) among aquatic life with a scuba or snorkeling tour. Spend the 25th (Mon) spotting exotic species with a safari tour. There's lots more to do: look for all kinds of wild species at Hartley's Crocodile Adventures, soothe aching muscles at some of the top local wellness centers, and get to know the resident critters at Wildlife Habitat Port Douglas. Make your Port Douglas itinerary with Inspirock to find out what to see and where to go. Traveling by car from Cairns to Port Douglas takes 1.5 hours. Alternatively, you can take a bus; or take a shuttle. In March, plan for daily highs up to 36°C, and evening lows to 27°C. Cap off your sightseeing on the 25th (Mon) early enough to travel to Uluru-Kata Tjuta National Park. Uluru-Kata Tjuta National Park is known for nature, museums, outdoors, trails, and classes. Your plan includes some of its best attractions: take in the dramatic natural features at Uluru, take your sightseeing to a higher altitude at Kata Tjuta, take in the pleasant sights at Lungkata Walk, and appreciate the views at Valley of the Winds. For other places to visit, photos, reviews, and other tourist information, go to the Uluru-Kata Tjuta National Park holiday planner. Traveling by combination of shuttle and flight from Port Douglas to Uluru-Kata Tjuta National Park takes 6 hours. Alternatively, you can drive. While traveling from Port Douglas, expect a bit warmer days and about the same nights in Uluru-Kata Tjuta National Park, ranging from highs of 41°C to lows of 24°C. Wrap up your sightseeing on the 28th (Thu) to allow time to travel to Perth. 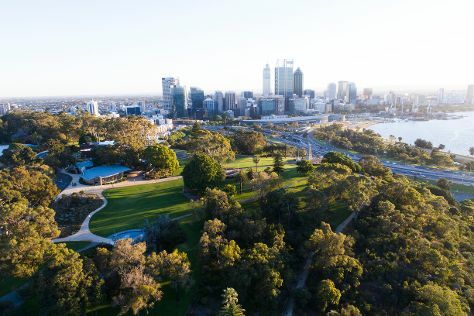 On the 29th (Fri), contemplate the waterfront views at Swan River, then steep yourself in history at The Perth Mint, and then walk around Kings Park & Botanic Garden. Plan my trip to Perth with suggested itineraries provided by Inspirock. You can fly from Uluru-Kata Tjuta National Park to Perth in 9.5 hours. Alternatively, you can drive. 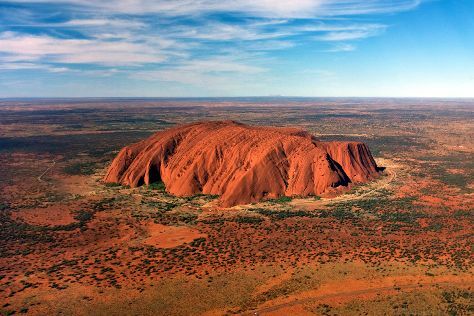 You'll gain 1 hour traveling from Uluru-Kata Tjuta National Park to Perth due to the time zone difference. Plan for little chillier temperatures traveling from Uluru-Kata Tjuta National Park in March, with highs in Perth at 34°C and lows at 19°C. Finish up your sightseeing early on the 29th (Fri) so you can travel to Melbourne. Melbourne is known for museums, shopping, parks, zoos & aquariums, and nightlife. Your plan includes some of its best attractions: take in nature's colorful creations at Royal Botanic Gardens, browse the collection at State Library of Victoria, have some family-friendly fun at Zero Latency, and enjoy breathtaking views from Eureka Skydeck 88. Getting from Perth to Melbourne by flight takes about 6.5 hours. Other options: take a train; or drive. You'll lose 2 hours traveling from Perth to Melbourne due to the time zone difference. Traveling from Perth in March, things will get slightly colder in Melbourne: highs are around 30°C and lows about 15°C. Finish your sightseeing early on the 1st (Mon) so you can travel back home.